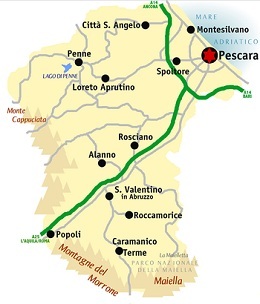 Pescara is situated on the Adriatic sea, but its climate is influenced by the surrounding mountains (the Maiella and the chain of Gran Sasso). In summer the weather is mostly stable and sunny with temperatures that, thanks to the sea breeze, rarely exceed 35 degrees unless the southwesterly Libeccio is blowing. Pescara's origins precede the Roman conquest and it became an important port for trade with the Eastern provinces of Empire. The name of both the ancient city and its river was Aternum, Via Claudia Valeria and the Via Tiburtina were the two main connecting arteries with Rome. The main building was the temple of Jovis Aternium destroyed by the Lombards (Longobardi) in 597. 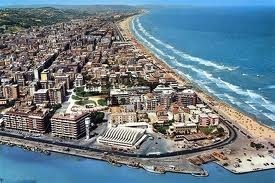 By 1095 Pescara was a rich city with an important series of monuments and churches. In 1140 Roger of Sicily conquered the city, giving rise to a period in which it was destroyed by armies ravaging the Kingdom of Sicily. The name of Piscaria ("abounding with fish") is mentioned for the first time in this period. Conquered by Jacopo Caldora in 1435 and 1439. In the following years Pescara was repeatedly attacked by the Venetians, and later, as part of the Spanish Kingdom of Naples, it was turned into a massive fortress. In 1566 it was besieged by 105 Turk galleys. It resisted fiercely and the Ottomans only managed to ravage the surrounding territory. At the beginning of the 18th century Pescara had some 3,000 inhabitants, half of them living in the Castellammare. In 1707 it was attacked by Austrian troops under the command of the Duke of Wallis: the city, led by Giovanni Girolamo II Acquaviva, resisted for two months before capitulating. 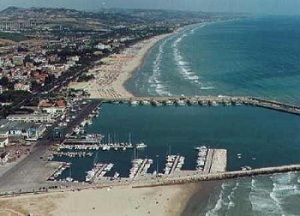 Apart from the brief age of the Republic of Naples of 1798–99, Pescara was always part of the Kingdom of Naples. In 1800 it fell to French troops, becoming an important military stronghold of Joseph Bonaparte's reign. Castellammare, which now had 3,000 inhabitants of its own, became a separate municipality. It was here that on the 15th 1815 the king undersigned one of the first constitutions of the Italian Risorgimento. In the following years the two cities merged and eventually became the largest city of the region. The new city received a hard blow during World War II and has since been massively rebuilt, becoming a very modern coastal city of Italy. The coast is low and sandy and the beach extends, unbroken for some distance to both the north and the south, reaching a width of approximately 140m in the area around Pineta to the north. Beside being a popular seaside resort , Pescara is also one of the most important and major ports of Adriatic Sea and it has also an important international airport. 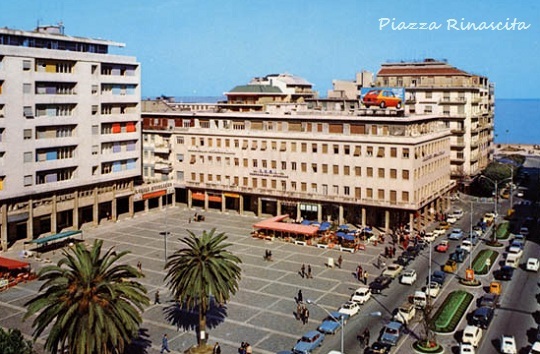 To get to know the city of Pescara, you should take a walk on Corso Umberto I, which ends in piazza Rinascita, best known as piazza Salotto, and go on until the coast at piazza Primo Maggio. The Provincial Government Building and the City Hall are in piazza Italia. Corso Monthonè, the main street of the old city, is the centre of nightlife. The Vittoria Colonna Museum of Modern Art, in the heart of the city, opened a few years ago. 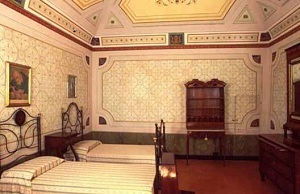 The historic center, built within the Spanish walls, hosts the birthplace house of Gabriele D'Annunzio, where the famous Italian poet was born in 1863. The house was refurbished in the 1930s, and is now open to the public. The Cathedral of St. Cetteus, built between 1933 and 1938, houses a 17th century painting of Saint Francis, attributed to Guercino. The 'Madonna dei Sette Dolori' Basilica (dedicated to Our Lady of Sorrows) is a sanctuary build in 17th century on the place of several Marian apparitions. The Palazzo di Città, built in typical Fascist style and inaugurated in 1936, is the City Hall. The Palazzo del Governo hosts the provincial library, with over 600,000 volumes. 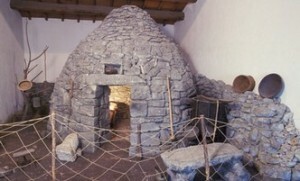 Pescara also houses the Museum of the Abruzzi people (Museo delle genti) dedicated to the aspects of life, traditions, economy, andf history of the Abruzzo people. The cuisine is traditional of Abruzzo and it reflects native pastoral and marine culinary traditions. Among the foods most commonly used are: bread, meat, fish , cheese and wine , the isolation that characterized the region for decades has meant that it maintained a culinary art and independent living. 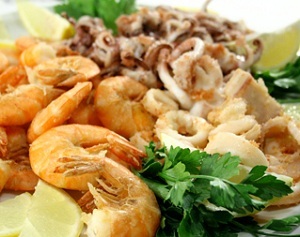 The seafood is characterized by the use of small-sized fish but very tasty cooked on the grill, in a pan or served raw or marinated in vinegar Typical is the monkfish (or monkfish) cacciatore and famous is the fish soup, prepared and cooked according to the different types of fish, Very popular is also the "freshly caught fried fish", a mixed fried fish, cod, mullet, sardines. Another typical dish is the soup of mussels and clams. 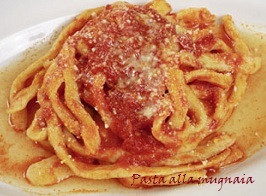 The first dishes are characterized by the use of pasta typical of Abruzzo as "maccheroni alla chitarra", "alla mugnaia" , ravioli, "scrippelle" or "timballo" , accompanied by traditional tomato sauce and lamb meat or vegetable broth or chicken. 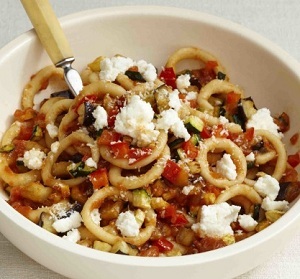 Typical of the first course of the Pescara are the "anellini alla pecoraia", a ring-shaped pasta served with a tomato sauce and various vegetables with the addition of the ricotta. Legacy of poor cuisine are dishes of legumes such as sagne (in dialect "tajarille") served with chickpeas or beans. 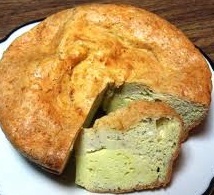 Another typical dish in Abruzzo and Molise is the "fiadone", a sort of rustic ravioli baked in the oven and made with eggs and cheese, which can be salty or sweet. 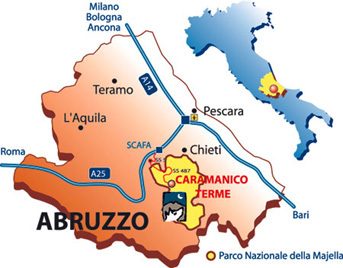 The meat used for cooking sauces and seconds are related to the pastoral tradition of Abruzzo. The "kebabs", skewers of mutton cut into small pieces which are served with slices of bread smeared with oil. Pork meat is also widely used and it is easy to find in the markets or on the streets kiosks. 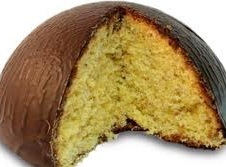 Among the traditional desserts the "parrozzo" certainly stands out , made with ground almonds, essence of bitter almonds, lemon peel and covered in dark chocolate famous is the Parrozzo D'Amico also celebrated by the famous poet Gabriele D'Annunzio. 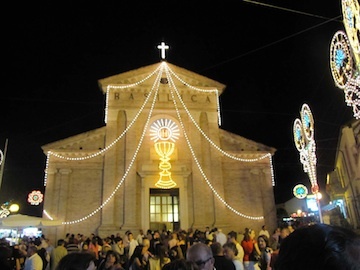 Typical, as in the whole of Abruzzo and especially during the holidays, is also the "cicerchiata", which is a cake made of dough with flour, eggs, butter and sugar, little balls about an inch in diameter, which are fried in olive oil and covered with honey. 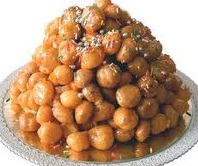 Other common sweets are the "cacionetti" and "bocconotti", the latter typical of sweets Castelfrentano, near Lanciano. From Abruzzo's many liqueurs the only typical of Pescara is the Aurum, which is made with brandy and orange peel.